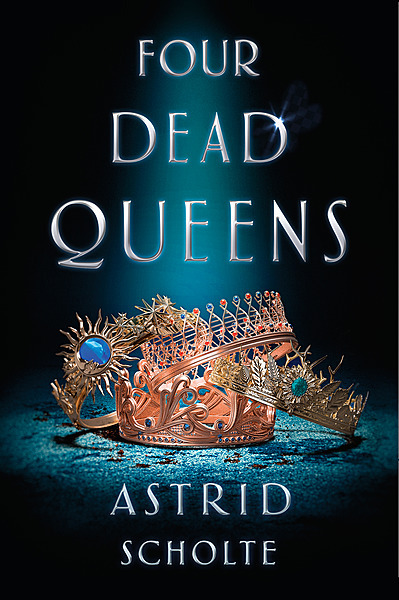 An enthralling fast-paced murder mystery where competing agendas collide with deadly consequences, Four Dead Queens proves that it’s not always good to be queen. Astrid Scholte's fascination with all things fantasy began at the impressionable age of one while on a family vacation to Disneyland. Her desire to be surrounded by all things magical led her to a career in animation and visual effects. She received Honors in BA (Film, Media and Theater) and a Bachelor of Digital Media from the University of NSW. She's spent the last 10 years working in visual effects production as both an artist and an artist manager. Career highlights include working on James Cameron's AVATAR, Steven Spielberg's THE ADVENTURES OF TIN TIN and HAPPY FEET 2 by George Miller. She lives in Melbourne, Australia with her cats Lilo and Mickey. FOUR DEAD QUEENS is her debut novel. A new spin on a fantasy favorite.